This is the nomination form for the 2019 Service Star and Service Leader Tourism Awards. 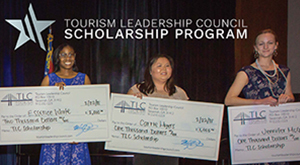 You can nominate as many people as you would like: we love to hear about all of the best and brightest in the tourism community! Choose the award below that best fits your nominee, and tell us all about them. The Service Star Award is presented to a tourism and hospitality industry employee who consistently demonstrates exemplary job performance and goes above and beyond the call of duty as he/she services guests. Eligible candidates must be employed by TLC member businesses. Candidates for the Service Star Award must serve customers either directly (receptionists, restaurant servers, etc.) or indirectly (housekeepers, service technicians, etc.). 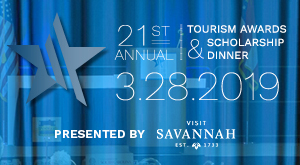 The Service Star Award is broken down into five categories: Best Front Desk Employee, Best Valet/Bellman, Best Housekeeper, Best Server, and Best Support Staff (includes back-of-house positions such as dishwashers, stewards, engineers, etc., or front-of-house positions that are not listed). Choose the category that most closely matches your nominee's role. The Service Leader Award is presented to a managerial level employee who exhibits phenomenal service not only to guests but also to their colleagues through their exemplary leadership. Eligible candidates must be employed by TLC member businesses. Candidates for the Service Leader Award must serve on a supervisor/management level (catering managers, development directors, etc.) and exemplify leadership qualities while offering outstanding service within their business/organization.